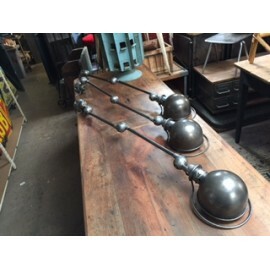 La Boutique Vintage offers a huge selection of authentic Industrial Lighting. Our favourite is the Jielde. Jean-Louis Domecq has designed a fantastique and unique lamp that gives your interior an Industrial Style Lighting. The Jielde is the perfect Vintage Lighting! Like others: Gras, GAL (industrial pendant lighting), Cremer and the Anglepoise! Industrial Lighting Jielde There are 10 products. 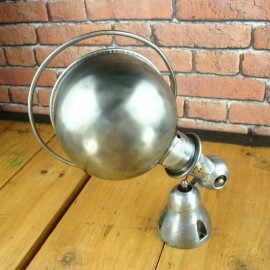 This original 2 arms Jieldé lamp is really beautiful. 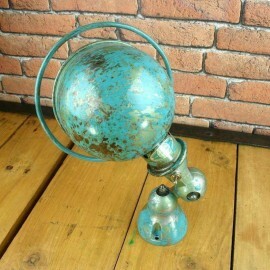 It has a distressed blue paint over its original green paint which gives it a fantastic patina and still have its blue label stamp on it. 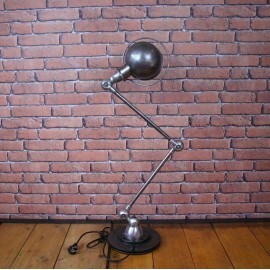 This lamp is fixed on a very heavy steel base for a perfect stability. Magnifique! To view our full range visit our Industrial Lighting Category. 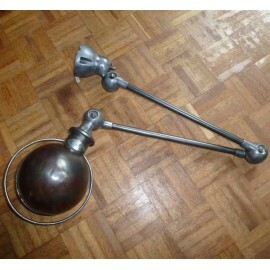 An original 2 arms Jieldé lamp designed by Jean-Louis Domecq. 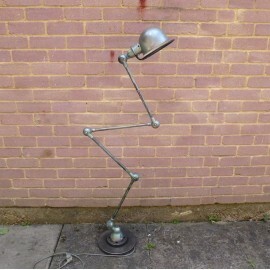 This one is graphite steel metal with one short arm and one lond arm. It has been stripped out, polished and varnished. It is fixed on a very heavy steel base for more stability. Just Magnifique! To view our full range visit our Industrial Lighting Category. Set of 3 original vintage Jielde lamps. Graphite color. To view our full range visit our Industrial Lighting Category. 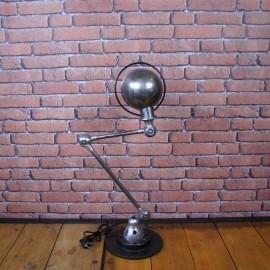 Original vintage Jielde lamp 2 arms. Graphite color. To view our full range visit our Industrial Lighting Category. 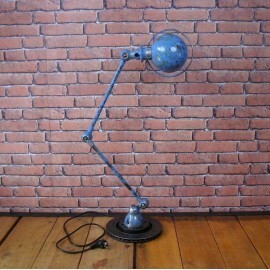 An original beautiful wall mounted Jieldé lamp with a great blue patina color and some old genuine green under. It still has the brand blue name on the shade. Fantastic piece! To view our full range visit our Industrial Lighting Category. 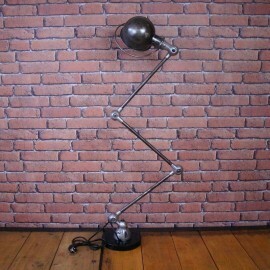 An original 2 arms Jielde lamp designed by Jean-Louis Domecq. This one is graphite steel metal and has a wonderful patina. It is in good vintage condition with some small bumps that can attest from its age and give it such an authentic Industrial Character. Magnifique! To view our full range visit our Industrial Lighting Category. This is an original graphite Jieldé wall lamp. The shade has little bumps that remind us that it was used in an old factory! And also a beautiful patina! It has the original plate but not the name on it. Perfect for an industrial look. To view our full range visit our Industrial Lighting Category. This is an original Jieldé 4 arms with its original green paint. The shade has little bumps that remind us that it was used in an old factory! And also a beautiful patina! It has its original plate on it. 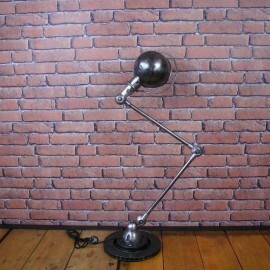 Perfect for an industrial look in your home! To view our full range visit our Industrial Lighting Category.